We all want beautiful, resilient skin that stays looking young forever, but how many of us have the time to do the treatments necessary to make that last? The Obagi Radiance Peel is one of the ‘lunchtime facials’ that helps keep our skin looking great but only takes a few minutes to use making it a perfect lunch-time pick-me-up and refresher for your skin. With all the skincare product producers in the world today Obagi holds the reputation as the most respected provider of transformative and restorative treatments. Does Obagi Radiance Peel Make My Skin Thinner? Users of skin peels often think that they thin the skin as part of their restorative process, but the opposite is actually true. 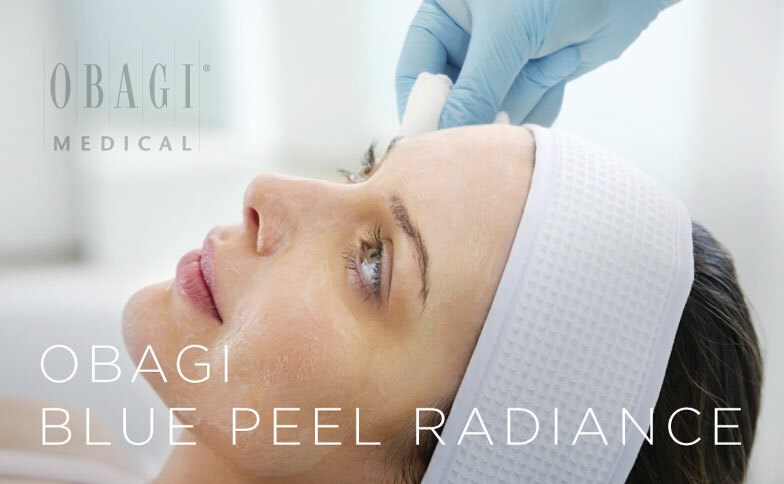 Treatments like Obagi Radiance Peel may remove the top layers of skin, but this just stimulates the skin to produce new, healthy skin in its place. Most patients describe the experience of using a skin peel as a pleasant and refreshing tingling sensation that lets you know its working. When getting the more intensive TCA peel pain relieve may be necessary, but these forms of peel are only done under a doctor’s supervision. Can I Go Out In Public After Using Obagi Radiance Peel? Given the quick and lightweight nature of the Obagi Radiance Peel you’ll have no problem going out in public afterwards. Lunchtime facials like this one simply help brighten your skin and leave you feeling refreshed. Will I Need To Use Obagi Radiance Peel Again? Lightweight peels like these are intended to be part of a regular skin maintenance routine, and are often part of a 4 to 6 week treatment period. This is especially true if you have exceptionally sun-damaged skin or other imperfections that require additional treatment. What is the active ingredient in Obagi Radiance Peel? The primary active ingredient in the Obagi Radiance Peel is salicylic acid, known for its ability to tighten and smooth skin while brightening it up. It has been shown to improve the texture of the skin and have a renewing affect on tired skin. Is there anything I need to avoid prior to treatment? If you’re taking a drug like Retin-A you’ll need to quit taking your dosage for three or four days prior to treatment. Additionally, both before and after the treatment, you should be applying SPF30 to your skin. The Blue Peel works by forcing your dead skin cells up to the surface where they are then shed. At the same time it stimulates collagen production underneath your skin. How is the Blue Peel Radiance different from other peels? Other alpha-hydroxy peels and other superficial skin procedures do not allow us to precisely control the depth of the peel. The Blue Peel Radiance is different because it gives us much more control on the depth of the skin we are treating. By selecting the number of layers to apply to your skin, we can accurately tailor the chemical peel process to your skin’s individual needs. The Peel also gives us flexibility in treating various parts of your body including the face, neck, chest, hands, back, arms, and legs. What skin types can the Blue Peel Radiance treat? What makes the Obagi Blue Peel Radiance so great is that it’s special formulation makes it safe for all skin types to enjoy the benefits of the peel. 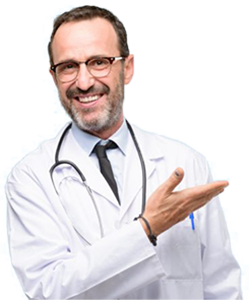 We can safely treat African-Americans, Asians, Hispanics and other darker skin types with our anti-aging and restorative skin care treatments. How many peels do I need? 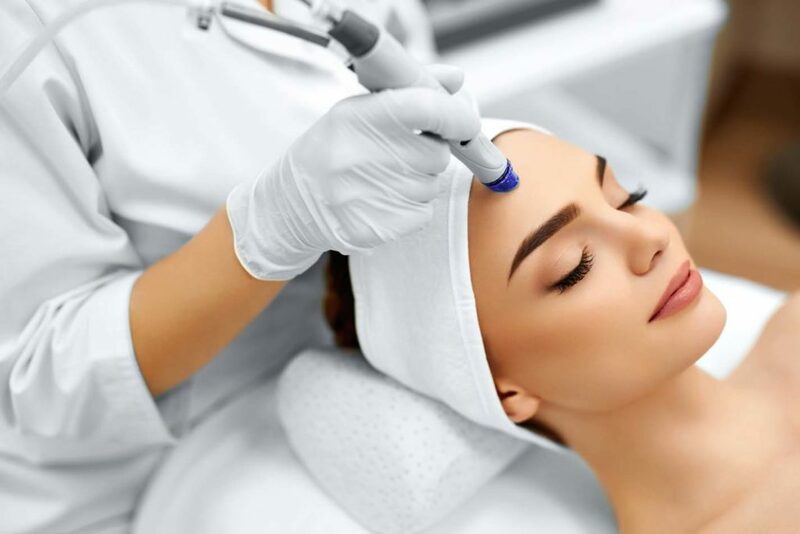 Though results can be seen with a single Blue Peel Radiance treatment, optimal results are usually achieved with a series of 4-6 peels. This will result in significant skin repair and give you a healthy glow to your skin. The peel works great not only as an active treatment, but also as a preventative treatment. Each peel can be repeated as often as every two weeks, if necessary, for damaged skin. Our skin care specialists will recommend a personalized skincare regimen to give you the best results.